Dubai, October 6, 2015- H.E. 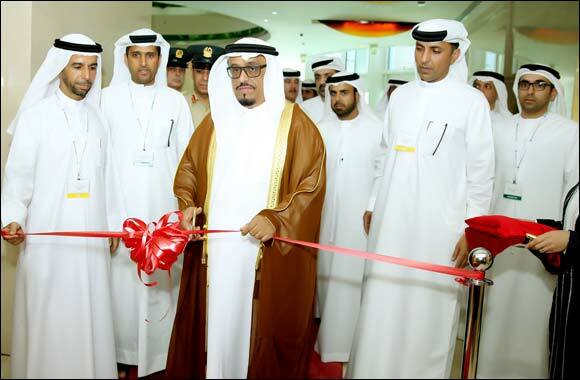 Lieutenant General Dhahi Khalfan Tamim, Deputy Chairman of Dubai Police and General Security, led the opening ceremony of the third edition of the annual Critical Communications Middle, the region’s most essential East Conference and Expo in critical communications, which will run from today (October 6, 2015) to October 7, 2015 at the Jumeirah Beach Hotel in Dubai. The event is expected to be attended by more than a thousand communication experts, thought leaders and professionals and will serve as a strategic platform to showcase the latest communication technologies and innovations that are currently being utilized for the shift towards LTE. Industry experts have expressed the significant role of TETRA communication solutions across today's public safety network which is widely attributed to its robustness, resilience, flexibility and higher capacity features. However, the emergence of 'Long Term Evolution' (LTE) has been dubbed as a possible replacement for TETRA. With this in mind, CCME 2015 will be throwing the spotlight on the important role of adopting and implementing new technologies in the move to develop an agile, fully responsive and highly secured communications network in the country. Joining the celebration of the 'Year of Innovation' in the UAE, CCME 2015 aims to promote the move to adopt the spirit of innovation technology through its showcase of the most forward thinking ideas and solutions in critical communications that look to improve public services, transport and key industries like oil & gas and utilities. The move falls in line with the directives of His Highness Sheikh Khalifa Bin Zayed Al Nahyan, President of the UAE, to promote creativity and ingenuity among government entities to drive progress, prosperity and innovation. 'This year's edition of CCME 2015 proves to be very exciting and timely as it seeks to address the challenges posed by today's global markets and how critical communications can play a key role in ensuring the safety and security of the public and private sectors. We are equally proud to present an agenda that complements the UAE's celebration of the 'Year of Innovation,' which aims to position the country as a leader in innovation while also placing itself among the ranks of the world’s leading countries in key indexes such as the Happiness Index and the Human Development Index,' concluded Mladen Vlatonjic, Chairman of TETRA & Critical Communications Association (TCCA). The event is said to be at its biggest yet, with more than 40 leading TETRA, LTE and Critical Communications exhibitors—reflecting a 30 per cent increase in exhibition space as compared to its previous edition. Key sponsors for CCME 2015 include Professional Communication Corporation - Nedaa (Host Operator Sponsor), Airbus Defence and Space (Gold Sponsor), Huawei (Gold Sponsor), Motorola Solutions (Gold Sponsor), Teltronic (Gold Sponsor) and Sepura (Networking Zone Sponsor) and Nokia (Silver Sponsor).